The moment we were born from above we were positionally sanctified for we were placed into the body of Christ by the Spirit – and we are forever positioned in Him. The instant we are saved, we are set apart unto the Lord. We are sanctified. We are positioned in Christ and we are positionally sanctified. We were positionally sanctified when we were justified by faith in Christ, but must move to practical or progressive sanctification, if we are to grow in our Christian life. Throughout our Christian walk we are to be increasingly “set apart unto the Lord,” We are to be progressively sanctified / practically sanctified. We are to grow in grace. But how does sanctification take place, and in what way does sanctification happen? Well, being sanctified means that we are set apart unto God – growing spiritually. The power of sin and death in the lives of all believers was broken forever at the cross, and so we are enabled to live a life of holiness – a life that is “set apart unto God”. When we were reborn, we received a brand new baby life – our new life in Christ, but the old sin nature will remain in our dying bodies until we are glorified – until Christ comes to take us home to heaven. But the old nature seeks to regain supremacy over our new life in Christ. Only the new, born-again life that is positioned in Christ is positionally sanctified – and Only that new born-again life in Christ can be progressively or practically sanctified. The old sin nature is incapable of godly living. The old sin nature is incapable of being sanctified. If we are to be practically sanctified, it can only take place in our new life. If we are to grow spiritually.. growth only take place in our new Christ-like nature. Only our new life in Christ can be holy.. set apart – practically sanctified unto God. Only our born-again life can do the good works, which God prepared for us to do. Only our new life, has been made alive by the imputed life of the sinless Lord Jesus. His sinless, righteous life has been given, by grace, to ALL who believe on His name. 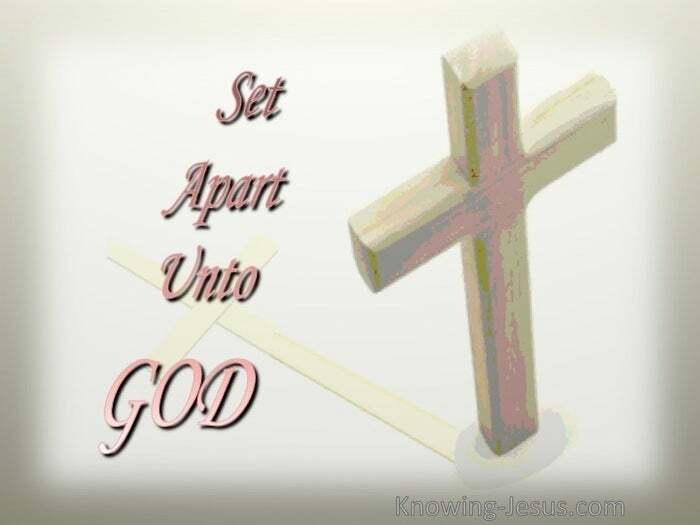 And that life is holy – set apart – positionally sanctified unto God. And that same holy life within, must also be practically sanctified. It was John who said that whoever abides in Christ does not sin – nor can sin. This has nothing to do with the erroneous teaching of “sinless perfection..” This verse simply refers to the new life in Christ – the new life does not sin. The sinless life of Christ that is imputed to all believers, does not sin.. and this is the only life that can ever be progressively sanctified unto God – set apart unto Him. However, the believer who does not abide in Christ, and has not set their life apart unto God will live from the source of the old sin nature, which can do nothing but sin!! The believer’s old sinful life can never be sanctified, for it is riddled with sin. There is nothing in the old sin nature that is acceptable to God and any attempts to set apart our old sin nature unto God will utterly fail. Until we go to be with the Lord, both the old sin nature and the new life in Christ are in bitter conflict – for the spirit lusts against the flesh and the flesh against the spirit. When we were positionally sanctified at salvation, it was all by God’s grace. We had no part to play in our positional sanctification – all we did was to believe. But we’re also to be set apart for practical sanctification during our time on earth. And though we do have a part to play – it is by grace alone and not human merit. All sanctification and spiritual growth in our lives is by God’s grace alone, and all we have to do is to submit to the guidance of the Holy Spirit in our lives. But not all believers are being sanctified in a practical, progressive manner – for being “set apart unto God,” is a free-will choice – a decision of the will, we all have to make. May our new, born-again life in Christ be progressively sanctified. May our new, born-again life in Christ be practically sanctified. 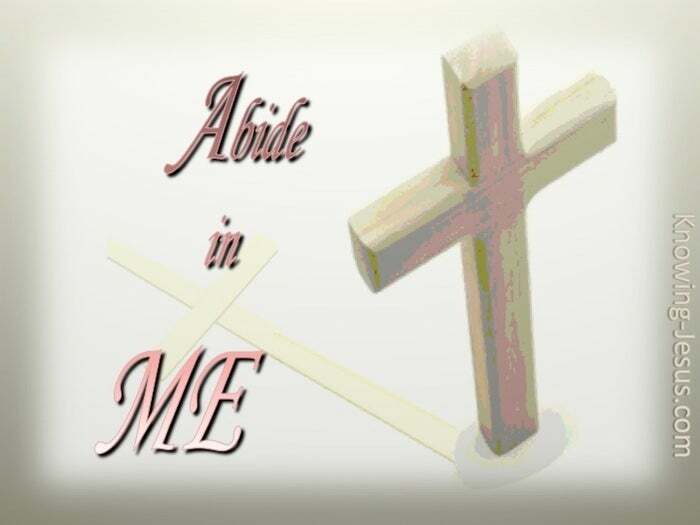 May our new, born-again life in Christ be set apart unto God, for only as we abide in Him will we grow in the knowledge of our Lord Jesus Christ.